The agenda for the City Council meeting this week was not a long one but it was filled with honorary proclamations and one widely discussed topic involving historic designation of two properties. Councilmember Heinze was absent from the meeting. 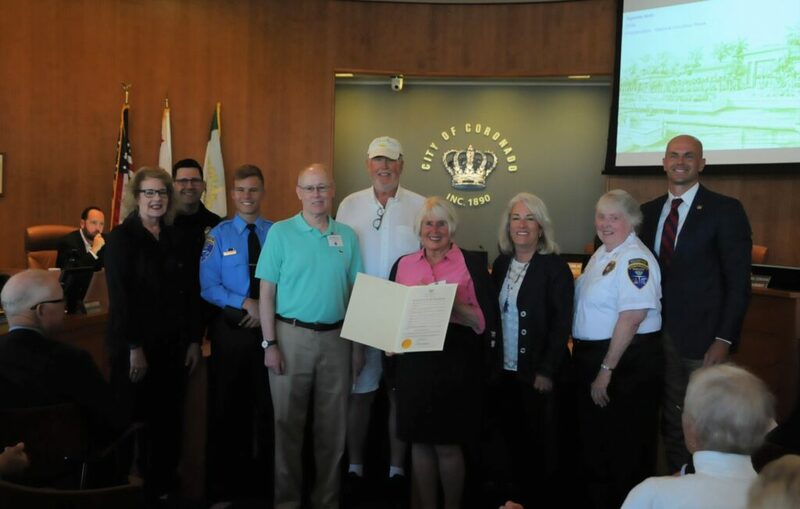 Mayor Bailey presented a proclamation for National Volunteer Week, April 7 – 13, 2019 to a group of dedicated volunteers from a variety of organizations. In 2018, the Reserve Police Officers, Senior Volunteers, Chaplains and Police Explorers donated 8,308 hours of service. The Coronado Seniors Out and About had 24 trained volunteer drivers who provided 940 hours of volunteer service providing transportation for seniors to medical appointments, grocery stores and other activities. The John D. Spreckels Center’s 20 Boosters provided 860 hours volunteering for facility tours, phone call reminders and other duties. The Coronado Lawn Bowling Club provided 209 volunteer hours to assist the upkeep of the John D. Spreckels Center Lawn Bowling Green. Thirty-two adult volunteers contributed 2,569 hours, and 54 junior volunteers gave 1,555 hours to the Coronado Public Library. All of these contributions are invaluable and greatly appreciated. 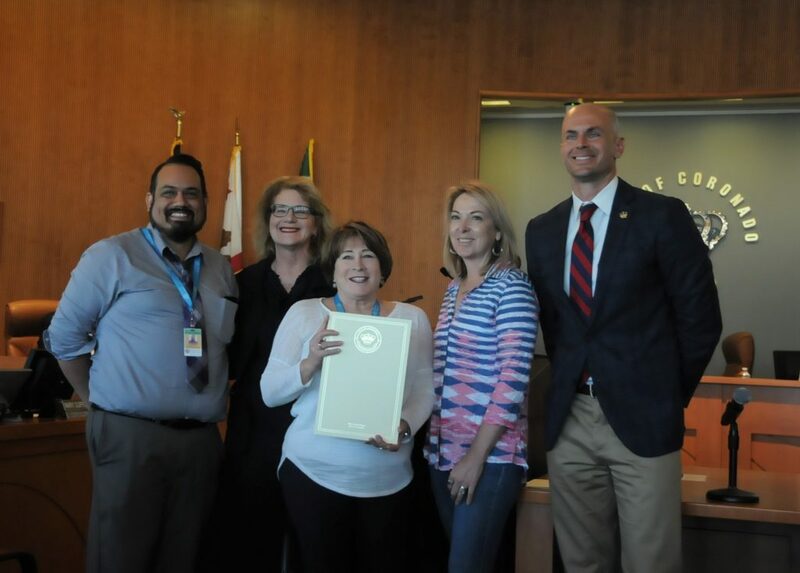 Mayor Bailey also presented a proclamation for National Library Week on April 7 – 13 to Library Board of Trustees President Brenda Jo Robyn, Friends of the Library President Marsi Steirer, Interim Library Director Cynthia Smith, and Franklin Escobedo, Principal Librarian. 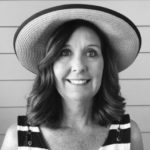 The library is an amazing resource in this community. 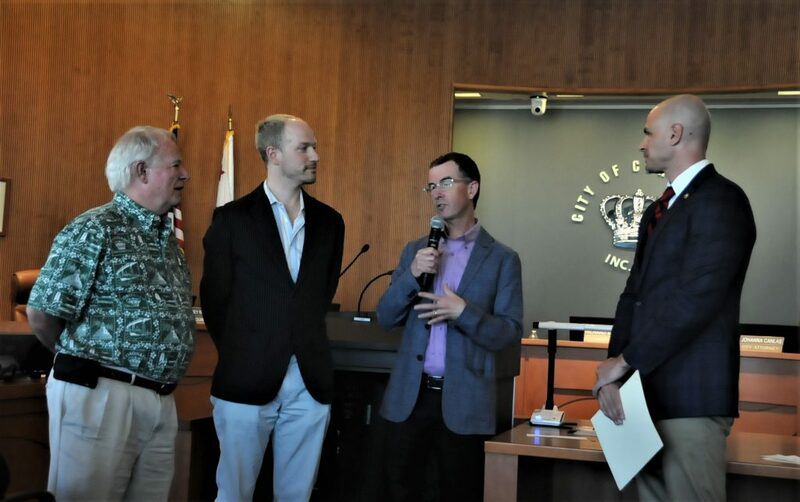 Mayor Bailey also recognized April as Arts, Culture and Creativity Month and presented a proclamation to Jeff Tyler, Chairperson of the Cultural Arts Commission and Matt Carney, Member of the San Diego Regional Arts and Culture Coalition Steering Committee, and Dalouge Smith, Arts Commission. California employs the highest number of people in creative industries – architecture, entertainment, fashion, media and publishing in the nation according to the 2018 Otis Report on the Creative Economy of California. Art is especially important throughout Coronado, and this is the first proclamation in the state to be given. The most discussed topics of the meeting were the two appeals of Historic Resource Commission (HRC) decision to designate 816, 824 and 826 San Luis Rey Avenue as historic. Tricia Olsen, Associate Planner and Staff Liaison for the HRC gave presentations on each of these appeals. The first house, located at 816 San Luis Rey Avenue, was designated historic under both Criterion C, for its Spanish Revival Architecture Style, and for Criterion B, for long-time city nurseryman Alfred Redfern residing in the residence. Redfern was also the first city employee to retire with benefits. Kevin Rugee, architect, and Scott Aurich, realtor, and several other residents argued that Redfern was not a notable historic figure, thus not meeting the requirements for Criterion B. Edry Goot, HRC Chair argued in favor of the HRC decision citing that Redfern influenced the landscape of Coronado for 24 years and the flower show and home front judging are an extension of preserving the beauty in the community. After much discussion, the Council voted 3-1, with Councilmember Donovan dissenting, to overturn the staff and HRC’s recommendation for historic designation of the property. City Manager Blair King addressed the traffic gridlock on the afternoon of April 1 that was caused due to an error by Caltrans when there was no zipper operator to move the traffic lanes. There was an earlier stall on the bridge, but this was not the primary reason for the congestion. The City will work with Caltrans to avoid this situation in the future. Councilmember Donovan asked King to give a report on the 2018 Housing Progress Report to the State, which has been done annually since 2013. Donovan pointed out that the new administration is putting pressure on municipalities to comply with housing levels and it would be good to inform the public. King pointed out that Coronado has a State approved Certified Housing Element which requires the City to provide ongoing data and that the Regional Housing Need Allocation (RHNA) assigns a certain number of housing units per jurisdiction. The City must show that land is available for the private sector to create these. King said “We have met the RHNA goals, with only a few units off in the low categories. I think that we recognize that cooperation among the State, local jurisdictions and the private sector is needed to meet the demand for Californians.” The Annual Housing Element Progress Report was unanimously approved and demonstrates the City has made positive progress toward meeting the objectives and goals identified in the Certified Housing Element. The City Council unanimously adopted a resolution to amend the contract between CPERS and the City to provide a mandatory employee contribution of 1.5 percent of salaries. This would help to reduce the City’s costs. Cliff Maurer, Director of Public Services and Engineering, showed photos of the progress on the 8th Avenue and Coronado manhole emergency repair project saying, “For us civil engineers, this is art.” Concrete was poured this week and additional issues are being fixed as they arise. The project should be completed within four weeks. Maurer cautioned the public about the safety of not going behind the barriers to look at the project. Oral Communication covered a variety of topics. Highlights included 92-year-old Julie Viera who advocated for maintaining the historic scored sidewalks around town rather than replacing them with the plain modern style. The City will contact her regarding this issue. Sue Gillingham, Executive Director, Chamber of Commerce, shared that the 35th annual Salute to the Military Ball with the theme “Celebrating the Coronado Homefront: Honoring our Spouses” would be held on April 6. There will be a new Vice Admiral Ed Martin Award this year honoring an individual for accomplishments in the military and the city.